Uneasy lies the head that wears the crown. 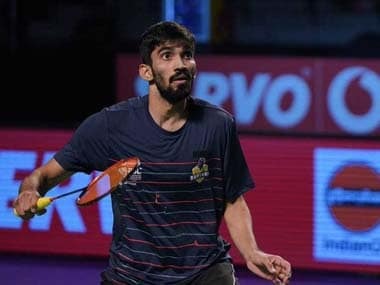 Kidambi Srikanth experienced exactly what it was to be the world’s pre-eminent exponent of badminton when, for the week starting 12 April, he bumped Danish world champion Viktor Axelsen off that lofty pedestal on a technicality, and qualified to be known as the Badminton World Federation’s (BWF) top men’s singles player. Axelsen has been off the international circuit for three months, since suffering an injury in the second round of the Indonesian Masters in January 2017, and lost 1,660 points from his tally of 77,130 this year when the Malaysian Masters was postponed from April this year, to allow the Commonwealth Games to be played. That cut his aggregate to 1,400 points below that of Srikanth’s total of 76,895, and allowed the Indian to leapfrog the 6’ 4” tall Dane into the World No 1 slot. Srikanth’s unease at his “unholy ascension” to the throne was fully justified when, exactly a week later, on 19 April, the 25-year-old Indian lost the top ranking to the very player he had wrested it from. With the Singapore Open, which was played in mid-April 2017, being moved back in this year’s schedule, Srikanth lost the 4,200 points he had gained last year for being runner-up to compatriot B Sai Praneeth, and dropped from 76,895 points to 72,695, even as Axelsen remained at 75,470. But that, as Shakespeare would have said, was not the most unkindest cut of all. The lopping off of as much as 5.5% of his total points in a single shot caused Srikanth to plummet to the fifth spot in the rankings, as another three players – South Korean Son Wan Ho (74,670 points) and China’s duo of Chen Long (73,466) and Shi Yuqi (72,743) – vaulted over him into the second, third and fourth positions. 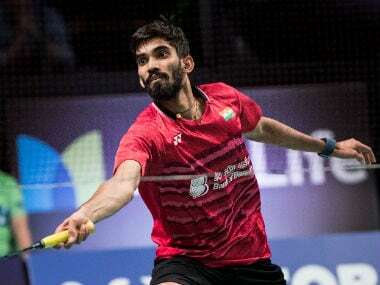 Nevertheless, it was by virtue of that brief sojourn at the summit of the rankings that Srikanth finds himself seeded at the very top of the draw in the Badminton Asia Championships that kick off at the Wuhan Sports Centre in Wuhan, China, from Tuesday morning. The Indian ace has been seeded ahead of Son who, on paper at least, is expected to provide the toughest competition to the top seed who had lost to the South Korean at the quarter-final stage of the World Championships in Glasgow last August. 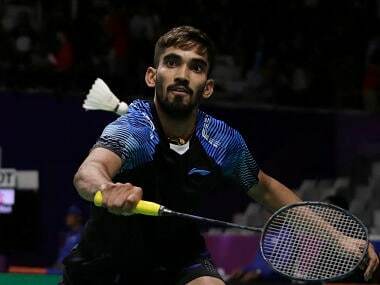 But even before he can work out a way of taking down the accurate, defensive Korean, the Ravulapalem native is likely to be in a face-off — third one in a space of a fortnight — with the No 5 seed Lee Chong Wei at the quarter-final stage of the Badminton Asia competition, should both of them win their first two rounds. The 35-year-old Malaysian carved out a 19-21, 21-14, 21-14 win over the top seeded Indian in the individual gold medal clash of the Commonwealth Games, in the process gaining sweet revenge for his 17-21, 14-21 defeat to the same opponent in the mixed team final which India had won 3-1. Srikanth, who became the fourth player in history to win four Superseries titles in a single year, last year, will face Japan's Kenta Nishimoto in his campaign opener. The Indian had aced the 13th-ranked Japanese player in the final of the French Open Superseries last October, leads 2-0 in their career head-to-heads, and is expected to go through in Wuhan against Nishimoto. The Indian’s second round challenge is against the Hong Kong battler, Wong Wing Ki Vincent, against whom he leads 4-2 in career meetings, with wins in their most recent three clashes. Srikanth had beaten Wong in straight games in successive weeks in the Denmark Open and French Open in October last year, while winning both Superseries tournaments. Lee should not be unduly troubled by the host nation’s Qiao Bin in his lung-opener in Wuhan, for he has beaten the Chinese player easily on two occasions, without suffering a loss. A first-round win will push him into a clash against the winner of tussle between the dangerous Indonesian, Anthony Sinisuka Ginting, and Sri Lanka's Niluka Karunaratne, before he can focus on the quarter-final clash against Srikanth. Three other Indians are in the fray in the men’s singles – HS Prannoy, B Sai Praneeth and Sameer Verma. 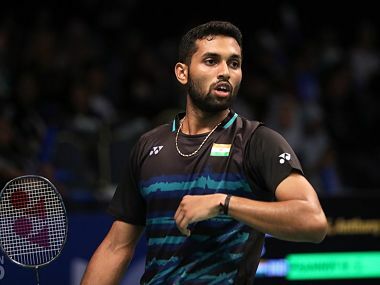 World No 10, Prannoy, has a qualifier in his campaign opener, and is likely to face two-time Olympic gold medallist and five-time world champion, Lin Dan, in the second round. It will be recalled that the Kerala-born Indian had beaten the Chinese legend in 2014 French Open. Sai Praneeth will take on Thailand's Suppanyu Avihingsanon, while Sameer Verma, who won the Swiss Open last month, will square off against Taiwanese No 7 seed and India Open finalist, Chou Tien Chen, in his opener. The country’s challenge in the women’s singles is predictably spearheaded by Pusarla Venkata Sindhu and Saina Nehwal. The former, looking to win the continental championship for the first time, has been seeded third, while Nehwal has missed out on a seeding as she continues to be outside the top eight, with the results of the Commonwealth Games (CWG) not being taken into account while plotting the BWF rankings. The 5’ 11” tall Sindhu has a relatively easy opening round against Chinese Taipei’s Pai Yu Po, whom she had beaten easily in their only encounter in the Swiss Open, two years ago. The 22-year-old Hyderabadi should progress to a second-round meeting with Chen Xiaoxin, whom she has also beaten with a degree of comfort in the only match the two have played earlier – in the Australian Open in June last year. If Sindhu can clear these two rounds, she is expected to lock horns with seventh seeded South Korean, Sung Ji Hyun, who has fallen away in the course of 2017, after having had an outstanding year in 2016. Sindhu has a 7-4 winning record against the 25-year-old Korean, with the key statistic being victory in three of their last four matches, with three out of four going the full distance. Meanwhile, the 28-year-old Nehwal gave her badminton career a shot in the arm by clinching her second individual CWG gold medal at the expense of fellow-countrywoman Sindhu, with a 21-18, 23-21 win. Her first gold win had come on home ground in New Delhi in 2010 with a gritty 19-21, 23-21, 21-13 final triumph over Malaysia’s Wong Mew Choo. The 2012 London Olympics bronze medallist was a first round casualty last year, losing to Japan's Sayaka Sato in the first round by a 21-19, 16-21, 18-21 scoreline. But her brilliant show of aggression against Sindhu has put her in prime position to change the colour of the two bronze medals she has won in previous Badminton Asia championships, with triumphs in 2010 and 2016 over Chinese stars Li Xuerui and Wang Yihan, respectively, in the third place play-offs. Nehwal, currently ranked No 12 in the world, opens her campaign with a first round match against a qualifier. What follows will be a really tough encounter between the winner of the clash between the reigning world champion and No 5 seed, Nozomi Okuhara, and China's dangerous floater, Gao Fangjie. Among others, upcoming men's doubles players MR Arjun and Shlok Ramchandran will seek to tame the South Korean combination of Chung Eui Seok and Kim Duk Young, while the reigning Indian national champions, Manu Attri and B Sumeeth Reddy will look to topple Thailand's Bodin Issara and Nipitphon Phuangphuapet in the first round. In the women's doubles, India will be represented by Meghana Jakkampudi with Poorvisha S Ram and Aparna Balan with KP Sruthi, while Venkat Gaurav Prasad and Juhi Dewangan will be the mixed doubles entrants. It is unfortunate that the top Indian pairs, Ashwini Ponnappa-N Sikki Reddy in the women’s doubles, and Ponnappa and Satwiksairaj Rankireddy in the mixed doubles did not have sufficient points from Asian events to qualify to play in Wuhan.